What has Rachel Rouge been up to? Our producer, performer-wrangler, curator and stage manager gets up to all sorts of things when she is not working on The Menagerie. 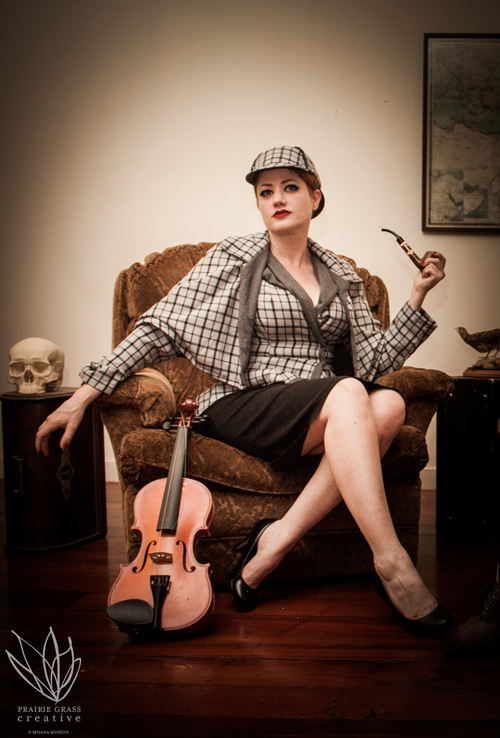 This month Rachel had the privilege of playing the iconic Sherlock Holmes in A Study in Pink: A Sherlock Holmes Burlesque put on by GDP Productions. The 4 night run in Wellington was a fantastic success. 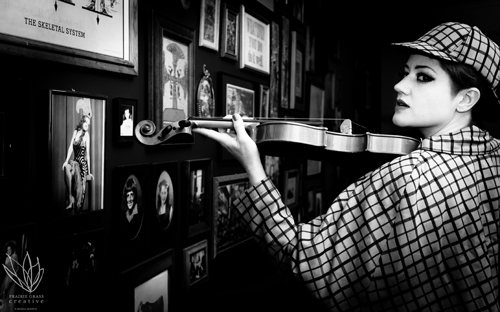 Before cutting off her hair and acquiring an English accent, Rachel did a couple of photoshoots with some extremely talented photographers and digital artists. Sarah Barlow captured and created this shot. Many enjoyable hours went into making this image. Sarah is based in Christchurch. Once again Rachel was honoured to work with Carlos de Treend of The Juice Lab. The Juice Lab are responsible for the beautiful design used as the basis for all of The Menagerie’s posters and promotional materials. Carlos hand drew this image from one of his photos. His talent is amazing.